Ruckus Dog™ Wants You To Keep Your Pets Safe From Coyotes! If you own a pet here in Toronto or anywhere for that matter where coyote sightings have been reported, be pet aware! With more land development comes an influx of coyotes being forced into urban ares and unfortunately they become fearless. While they rarely bother people, coyotes are a threat to domestic dogs, especially smaller breeds like Chihuahuas and other toy varieties. They also feed on smaller animals such as rabbits, but will definitely go after a small dog if given the opportunity. If coyotes have been spotted in or close to your area, here are 5 tips on how to keep your pets safe. Although these may seem like common sense things we should all know, we often forget especially when warm weather approaches and the tendency to swing our doors open to let our dogs out into the yard is done without thought. Keep a close eye out on your dog when they’re outside! Leaving a small dog outside unattended isn’t the smartest thing to do so pay close attention to their whereabouts. Rather than let your dog roam free in the yard, step outside with them. Coyotes are brazen around dogs but not so much around people and do tend to shy away. If you come across a coyote, shout, wave your arms and basically do anything to scare them away! Coyotes are wild, let’s keep them that they! Keep the animal lover in you at bay and do not feed them! Once fed, they’ll just keeping coming back for more and will pilfer discarded items in your trash bins and drag them out. Be sure to secure your bins and maybe refrain from having them out at night and place them on the curb early in the morning instead. Secure lids will prevent them from detecting that there’s food around. Make sure your property is coyote proof! Fences are about 90% useful when keeping coyotes from coming onto your property because they can either jump over them OR dig underneath and slide through gaps. If you live in an area that’s prone to coyotes, you may want to consider building a fence that’s a minimum of 5.5 feet high (check with city bylaws before going ahead and doing this) and install a stronger gate. When walking outside, keep your dog on a leash at all times. 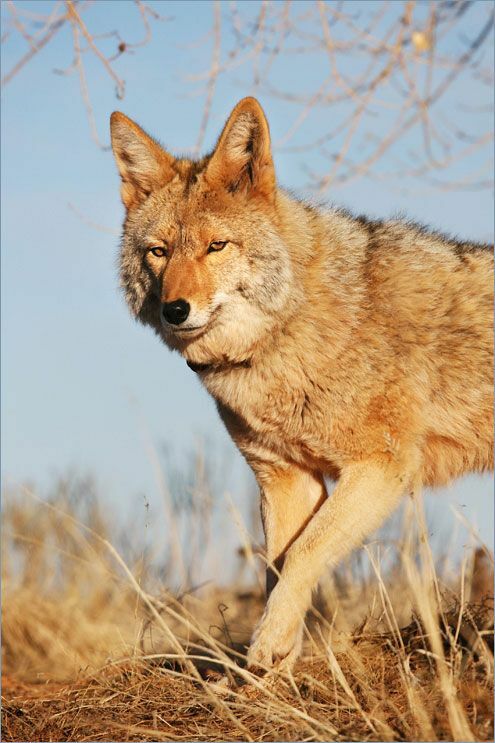 A dog running around loose will attract a lurking coyote. A shorter leash when walking is ideal, especially when strolling through areas where coyotes tend to poke about. Safety first, always. When’s mating season? January through March. Summer is upon us however do keep this information in your back pockets. Coyotes will travel long distances to find suitable mates and require a few extra calories to carry them through their journey. Extra energy is then used to build dens for pregnant females. Coyotes are exceptionally aggressive during this time. Click HERE to read the latest coyote sightings around the GTA. Keep in mind that smaller dogs aren’t the only target, coyotes have been known to attack larger breeds also. Always be pet aware and enjoy your summer! Please stay connected with Ruckus Dog™ on Facebook, Twitter, Pinterest & Instagram! This entry was posted in Uncategorized and tagged coyote safety, coyotes in the GTA, coyotes in toronto, dog breed products, dogs, home dogcor, pet safety around coyotes, products for dogs, ruckus dog, sharyn cathcart, small dog breeds, vintage inspired dog products on June 25, 2014 by Ruckus Dog. 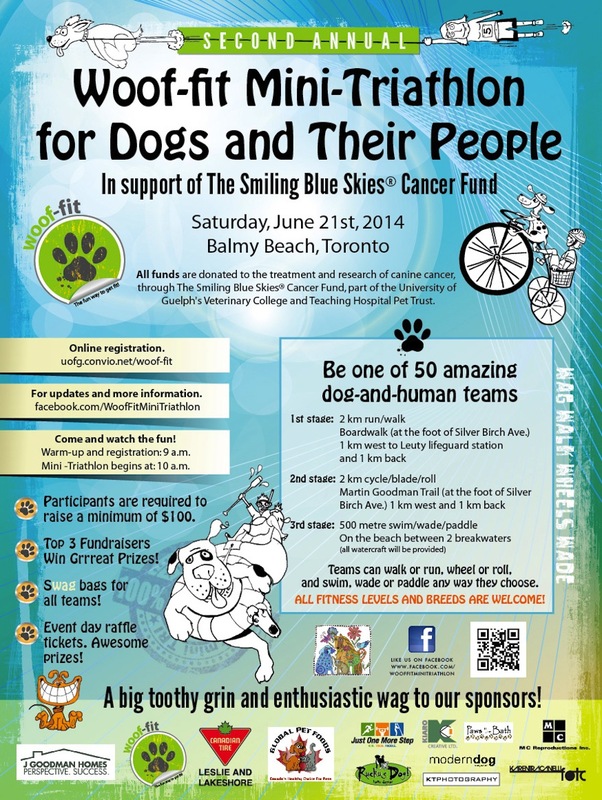 2nd Annual Woof-Fit June 21st At Balmy Beach In Toronto! At Ruckus Dog™, we support any cause that helps our pets live long healthy lives and when it comes to keeping them healthy, feeding them healthy foods and snacks aren’t the only things to consider. Fitness and exercise should also be part of the plan! Make fitness FUN and get your pooch involved! The 2nd annual Woof-Fit mini triathlon will be talking place June 21st at Balmy Beach in Toronto. If you’re interested in being one of the dog and human teams, please register right away – spots are filling fast and there are only a few left! All funds are donated to the treatment and research of canine cancer through ‘The Smiling Blue Skies Cancer Fund’ which is part of the University of Guelph’s veterinary college and teaching hospital pet trust. If you can’t make it to the event, we’ve made it easy for you to be a virtual participant and donate!! Click HERE to make a donation OR to register. 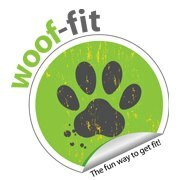 For more information, please visit Woof-Fit on Facebook. This entry was posted in Uncategorized on June 10, 2014 by Ruckus Dog.